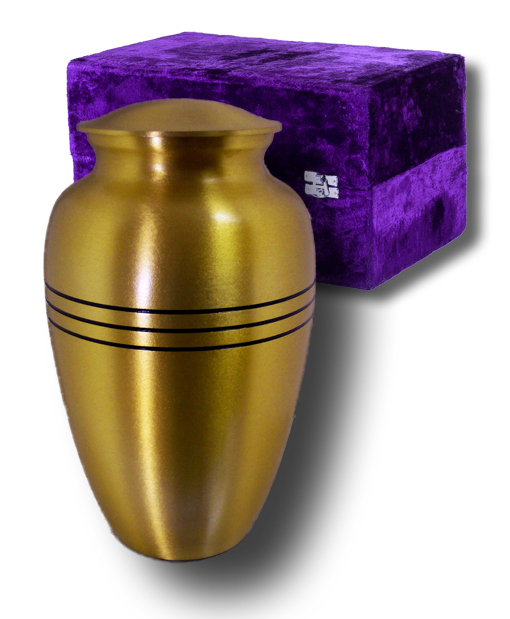 This is the Classic Brushed Brass Cremation Urn and Case has a timeless style and affordable price. The urn has a threaded lid for secure closure and a felt base to protect furnishings. A velvet case is included and can be used for storage or transportation. 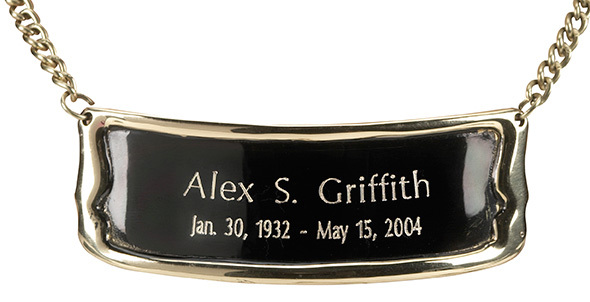 An optional Brushed Brass Medallion Name Plate can be engraved to personalize the urn. Please limit the name to no more than 26 spaces and the dates to no more than 33 spaces. Matching urns in other sizes are available in our Youth and Infant Category, Pet Urns Category, and our Keepsakes Category. 10.75" High and holds 228 Cubic Inches which is large enough for most adults with healthy weights less than 220 pounds.